Okay, yes it encourages us to go out and buy beer. Worse things could happen. But this phrase also offers us all some fresh insight. What if we committed to “stay thirsty” — intellectually, emotionally and spiritually thirsty? How much richer our lives (and our world) might be. At that early age we aren’t scared of questions. The fear of seeming ignorant has not set in. When we stop asking questions, we stop learning. And when we stop learning, we stop living. Reclaim your sense of curiosity, ask the questions, stay intellectually thirsty my friends. Staying emotionally thirsty is a bit tougher. And please understand by emotional thirst I don’t mean clingy. I mean emotionally available. What does this mean in practical terms? It means think about someone else for a change. Make a point to actually listen. What are their fears? Their dreams? Their joys? When we focus only on ourselves, we lose one of the greatest gifts of life – the gift of relationship; the ability to love and be loved; the healing of community. Empty yourself of yourself. Try and listen to understand. Stay emotionally thirsty my friends. The most difficult of the three may be maintaining spiritual thirst. If we are spiritually thirsty, we crave meaning and purpose. Sadly this world is not a place that nurtures that thirst. It is easy to fall into the trap of feeling powerless and insignificant. Everything in the news is negative; every story is about how huge the problems are and how no one has a solution. Eventually we get to a point where we just don’t care anymore – we lose our thirst for meaning. Not to get too religious for the blogosphere, but if I ever feel insignificant I think of the phrase in the bible that says “indeed, the very hairs of your head are counted.” (Luke 12:7) I mean why would God or the universe or whoever take the time to do that unless we had some importance? Just for a moment put aside your 21st century skepticism and listen: Each of us was created for something unique and important. Each us of us has a role in this world, whether we realize it or not. The good news is that our understanding of our role (or lack thereof) has no bearing on our significance. Aware, or not, we go forward. We search for meaning. That’s why we’re here. That’s what we do. Or at least that is what we do if we stay spiritually thirsty my friends. It really comes down to a question of how you want to live your life. Do you want to live in an insular manner, locked down with all “the” answers? Or do you want to stay intellectually thirsty and ask questions, stay emotionally thirsty and listen, stay spiritually thirsty and care? I challenge us all to stay open, stay curious, and stay engaged. Commit to it today. What do you have to lose? A stale, predictable life? Please. 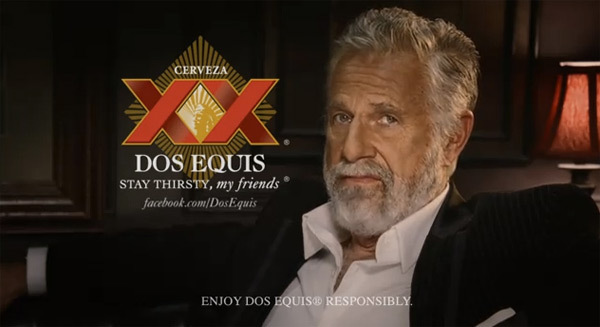 Stay thirsty my friends.